Contact us to find out how to send children. A Tamariki Drop-In Centre with a Difference! At JAM after school – which stands for ‘Jesus And Me’ – kids can try out a variety of activities such as ball sports, table tennis, pool, drama, karaoke, arts & crafts, chill zone with books and board games, music and dance lessons, structured and free play, ride on karts, and much more! The team of passionate adult volunteers, led by Naomi Olivè, plays with the kids, bakes afternoon tea, and shares positive Christian values and message. Hands-on experiences are used to help foster each child’s God-given gifts and talents. They form healthy friendships across our community, and also enjoy the chance to chat with the adults, who also lend a listening ear when needed. Contact us to find out how to sign-up children. Lessons are FREE, but bookings are essential. Plus consent is needed from a parent/caregiver on the necessary forms when you first come. 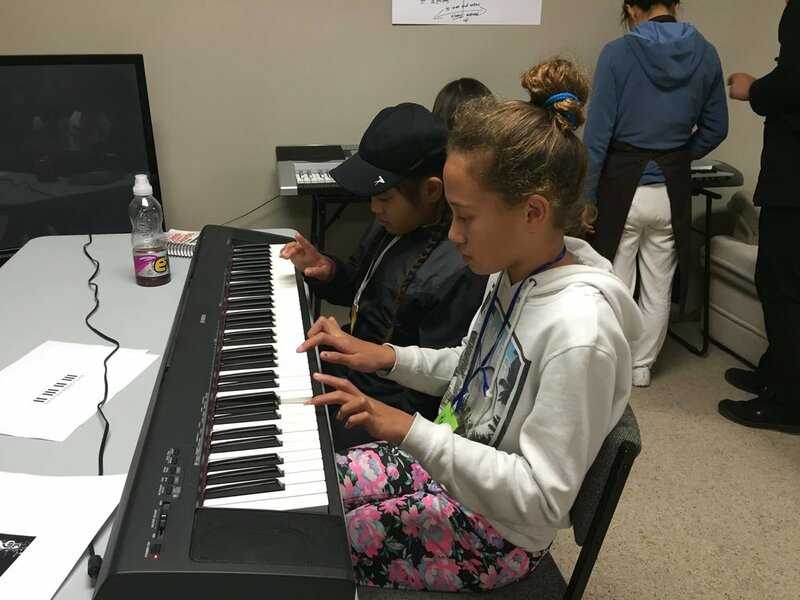 JAM Music gives tamariki and rangatahi experience with musical instruments that they may want to play more as they get older. Our JAM tamariki love music lessons and ask for them each week. So JAM music was established to satisfy this hunger. Led by our talented music instructor Christine Phillips, the children can learn to plan and read music. We currently offer keyboard, guitar and drums lessons. We are always looking to expand and add to our team. If you have a heart for working with children and youth through play, mentoring, arts and crafts, dance, music or drama then please complete the volunteer form to find out more and one of the JAM team will contact you to talk further. Please Note: All volunteers are required to meet our strict guidelines and pass police checks. The safety of our precious children is paramount. But still talk with us if you're passionate, yet have a past offence. Some situations are okay.